The Northern Rockies Ecosystem Protection Act (NREPA) is a visionary piece of legislation that is based upon science, and would protect the public land and wildlife in the last best place. Indeed, the greatest concentration of public wildlands in the Lower 48 is found in parts of Idaho, Montana, Wyoming, eastern Oregon and eastern Washington. This is perhaps the only region in the Lower 48 still big and wild enough to retain all its native species, including grizzlies, wolves, woodland caribou, and runs of salmon, steelhead and Bull trout. Although these species persist, their numbers are not large enough to be resilient. Scientists have learned that for these rare species to persist and increase, they need to have secure core habitat and that these core areas need to be connected. Unfortunately, no National Park or designated Wilderness in the Lower 48 is large enough on its own to protect all native species. Thus, habitat corridors need to be established for wide-ranging species to persist and flourish. That is precisely what NREPA does. There are three other major principles to NREPA besides protection of habitat corridors on public land. First is the protection of unroaded and undeveloped public lands as Wilderness. 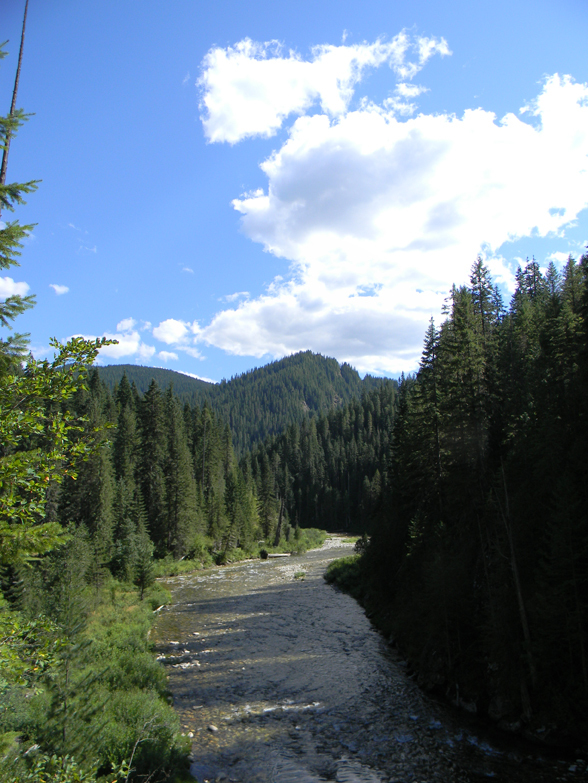 The largest single block of protected Wilderness in the Lower 48 is found here: the Frank Church – River of No Return Wilderness and the Gospel – Hump Wilderness. NREPA would expand these wilderness and designate new ones across the five state area including the backcountry (the places not accessed by roads) of Yellowstone, Grand Teton and Glacier National Parks. The National Park Service has long-standing wilderness recommendations for the backountry of these iconic National Parks. About 23 million acres of public land managed by the Forest Service, National Park Service and Bureau of Land Management would be protected by NREPA. Second is the protection of corridors as noted above. NREPA would provide the mechanism for identifying and protecting these corridors. For example, connecting habitat between Glacier National Park, the Big Wild (the massive wildland complex of which the Clearwater Country is the northern half), and the Greater Yellowstone Country will help species like wolves and wolverines survive impacts of global warming. Third, is the protection of key rivers in their free-flowing condition. NREPA would designate nearly 2,000 miles of rivers and streams as wild and scenic rivers under the Wild & Scenic Rivers Act. Rivers are the lifeblood of the region. Runs of salmon, steelhead and native trout need cold, clean, free-flowing rivers. Wallace Stegner, the great Western writer, called Wilderness the “geography of hope.” NREPA represents the “geography of hope,” not only for the entire wild Rockies bioregion, but for the Wild Clearwater Country. The Clearwater is the northern half of the Big Wild and is centered on the Clearwater Basin, with wildlands also extending into the St. Joe and Salmon River watersheds. 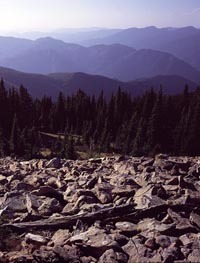 The Gospel – Hump Wilderness and the northern portion of the Frank Church – River of No Return Wilderness are found here. Additions such as Cove – Mallard and Johns Creek would be made to those wildernesses. 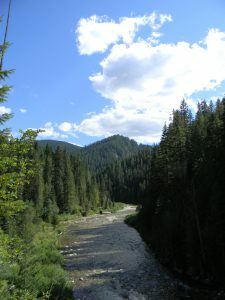 Only the narrow and winding rough Magruder road divides this wild area from another very large wild area, the Selway – Bitterroot Wilderness. Meadow Creek, Elk Summit, the Lochsa Face, and Gedney Creek would be added to that wilderness. Incredible wildlands like Weitas Creek, Pot Mountain, Fish and Hungery Creeks, Kelly Creek, Mallard – Larkins and the Upper North Fork Clearwater would be designated Wilderness. Learn about the roadless areas in the Clearwater Basin that would be designated Wilderness through NREPA. Rivers and streams like the North and South Fork Clearwater, Colt – Killed Creek, Kelly Creek, Cayuse Creek, the Little North Fork Clearwater, and Three Links Creek would be designated as Wild & Scenic rivers. Learn about rivers and tributaries in the Clearwater Basin. Wild Clearwater Country is perhaps the wildest part of the wild Rockies. From the wet, ancient cedar groves to the headwaters of the Locha and Selway Rivers, it has an amazing diversity of life. Endemic species like the Coeur d ’Alene salamander, rare inland species like the Pacific Dogwood, and iconic species like the Gray wolf call this area home. NREPA would ensure that these species continue to find adequate habitat in the Clearwater Basin. Alliance for the Wild Rockies is another excellent source of information for NREPA.